This article is designed to get you started on the right path with CBD Gummies for beginners. Your probably here because you heard something or read something about the powerful benefits CBD. Well our gummy bear products are a great way to begin the journey of discovering the natural healing of properties of cannabidiol! They are gummy bears that contain a pre-measured quantity of cannabidiol. This is the active ingredient that is responsible for numerous health benefits. It is derived from naturally grown non-GMO industrial hemp plants. We use a proprietary all-natural chemical free process to extract the CBD and infuse the candies with varying concentrations. CBD gummies are a candy-coated way for your body to utilize it’s natural healing pathways. How they will work for you depends on your weight, tolerance, gender and the varying concentrations contained in the product you are consuming. They have the therapeutic effects of reliving stress/anxiety, arthritis, insomnia and other various chronic pains. Since cannabidiol is a natural remedy it leaves you free of nasty side effects and is non-addictive unlike many traditional medications on the market today. CBD gummies contain a natural remedy that interacts with your body’s endocannabidiol system. Reliving stress, anxiety, arthritis, insomnia, joint and back pain. With that in mind there are no side effects and it is non-addictive. Unlike traditional pharmaceuticals. The ingredients consist of sugar, corn syrup, gelatin, citric acid, calcium lactate, silicon dioxide, natural and artificial flavors. 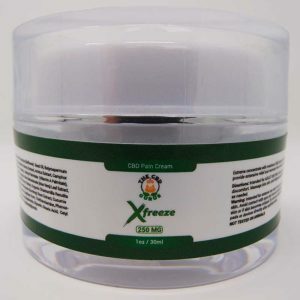 Along with naturally sourced CBD that has been tested by an outside lab and certified pure.